Shariah Compliant Asset Pricing Model (SCAPM) is a modification of the model Capital Asset Pricing Model (CAPM). This research is quantitative descriptive study of theories of optimal portfolio analysis applied to trading stocks, especially in stocks Jakarta Islamic Index. Sampling technique used was purposive sampling and obtained 26 shares. The analysis tool used is MatLab R2010a. The results of this study are not prove theMarkowitz portfolio theory. This is explained by the amount of Beta market (β_m) a value beta below 1 indicates that the fluctuation of stocks returns do not follow the movement of market fluctuations. Investors are likely to want a high profit, the investors are advised to choose a second portfolio groups, with rate of 0.176722% and investors are likely to enjoy a substantial risk in the investment portfolio are advised to choose the first group with a great risk of 0.8501%. Shariah Compliant Asset Pricing Model (SCAPM), Capital Asset Pricing Model (CAPM), Tingkat Imbalan Sertifikat Bank Indonesia Syariah (SBIS). Abdulaziz Aldaarmi, Maysam Abbod & Hussein Salameh, 2015, “Implement Fama And French And Capital Asset Pricing Models In Saudi Arabia Stock Market”, The Journal of Applied Business Research – Volume 31, Number 3, May/June 2015. David Blitz and Falkenstein, Eric G. and van Vliet, Pim, , May 28, 2013 , “Explanations for the Volatility Effect: An Overview Based on the CAPM Assumptions”, Journal of Financial and Quantitative Analysis, Vol.34 No.4. Didier Maillard, 2012, “A User’s Guide to the Cornish Fisher Expansion”, Conservatoire national des arts et métiers, Amundi, February 1. Euginia Natalia, Darminto & M.G. 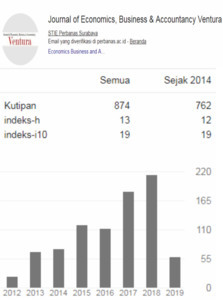 Wi Endang NP, 2014, “Penentuan Portofolio Saham yang Optimal dengan Model Markowitz Sebagai Dasar Penetapan Investasi (Studi pada Perusahaan Food and Beverage yang Terdaftar di Bursa Efek Indonesia Tahun 2012)”, Jurnal Administrasi Bisnis (JAB), Vol. 9 No. 1 April 2014. James Turner, Januari 2010, “Momentum Portfolios and the Capital Asset Pricing Model: A Bayesian Approach”, Quarterly Journal of Finance and Accounting, Vol. 49, Nos. 3 and 4. Jan F. Jacobs, October 14, 2004, “CAPM Failure & New CAPM Relationship”, Business Valuation Review, Vol.31. Jay R. Joshi, 2012, “Capital Assets Pricing Model: A Roadmap To Develop A Portfolio From Selected Scripts Of National Stock Exchange”, International Journal of Applied Financial Management Perspectives ©Pezzottaite Journals, Volume: 1, Number: 2, , ISSN (P):2279-0896, (O):2279-090X, October–December 2012. Larasati, Irwanto & Permanasari, 2013, “Analisis Strategi Optimalisasi Portofolio Saham LQ 45 (pada Bursa Efek Indonesia Tahun 2009-2011)”, Jurnal Manajemen dan Organisasi, Vol IV, No 2, Agustus 2013. Massimo Guidolin dan Francesca Rinaldi, 2013,“Ambiguity in Asset Pricing and Portfolio Choice: a Review of The Literature”, Theory, No. 74, pp. 183–217, DOI 10.1007/s11238-012-9343-2. Mike Dempsey, January 2013, “The Capital Asset Pricing Model (CAPM): The History of a Failed Revolutionary Idea in Finance?”, Abacus, Vol. 49, pp. 7-23. Mona A. Elbannan, 2015, “The Capital Asset Pricing Model: An Overview of the Theory”, International Journal of Economics and Finance, Vol. 7, No. 1, ISSN 1916-971X, E-ISSN 1916-9728. Muhammad Hanif (Corresponding Author), 2011 ,“Risk and Return under Shari’a Framework: An Attempt to Develop Shari’a Compliant Asset Pricing Model (SCAPM)”, Pakistan Journal Commercial Social Science, Vol. 5 No.2, pp. 283-292. Muhammad Hanif and Dar Abubakar Javaid, 2012 , “Comparative Testing of Capital Asset Pricing Model (CAPM) and Shari’a Compliant Asset Pricing Model (SCAPM): Evidence from Karachi Stock Exchange – Pakistan”, 4th South Asian International conference (SAICON-2012), Pearl Contenental Hotel, Bhurban, Pakistan, 05-07 December. Oghenovo A Obrimah, Jacob Alabi & Blessing Ugo-Harry, June 4 2014, “How Relevant is the Capital Asset Pricing Model (CAPM) for Tests of Market Efficiency on the Nigerian Stock Exchange?”, Research Journal of Finance and Accounting, No. 4. Rabeea Sadaf & Sumera Andleeb, March 2014 , “Islamic Capital Asset Pricing Model (ICAPM)”, Journal of Islamic Banking and Finance, Vol. 2, No. 1, pp. 187-195, ISSN: 2374-2666. Rifki Ismail, 2014 , “An Optimal Risk – Return Portfolio of Islamic Banks”, Humanomics, Vol. 30 No. 4, pp. 286-303, ©Emerald Group Publishing Limited 0828-8666, DOI 10.1108/H-08-2013-0055. Roger Dayala, April 1, 2012 , “The Capital Asset Pricing Model, A Fundamental Critique”, Business Valuation Review, Vol.31, Issue 1, pp.23-34. Tarek H. Selim, 2008, “An Islamic Capital Asset Pricing Model”, Humanomics, Vol. 24 No. 2, pp.122-129, Emerald Group Publishing Limited 0828-8666, DOI 10.1108/08288660810876831. Graham N. Bornholt, 2012, “The Failure of the Capital Asset Pricing Model (CAPM): An Update and Discussion”, August 26, 2012, diakses tanggal 20 Januari 2016, Available at SSRN: http://ssrn.com/abstract=2224400 or http://dx.doi.org/10.2139/ssrn.2224400. Randolph B. Cohen, Christopher Polk, &Tuomo Vuolteenaho, 2004, How the Inﬂation Illusion Killed the CAPM, May 12, 2004, diakses tanggal 20 Januari 2016, Available at SSRN: http://ssrn.com/abstract=548402 or http://dx.doi.org/10.2139/ssrn.548402. 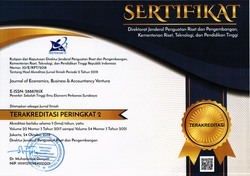 Peraturan Bank Indonesia, http://www.bi.go.id/id/peraturan/moneter/Documents/27d5d8541f9b4b6b9f926ed7b296ed9bpbi_101108.pdf, diakses tanggal 25 Februari 2016, Pukul 20.01 WIB.